When war seems inevitable… Thin Post : Scott Sevener, Marathon Runner??? So the announcement was made earlier today by Wizards of the Coast that they’ve actively begun development on a new version of Dungeons & Dragons. 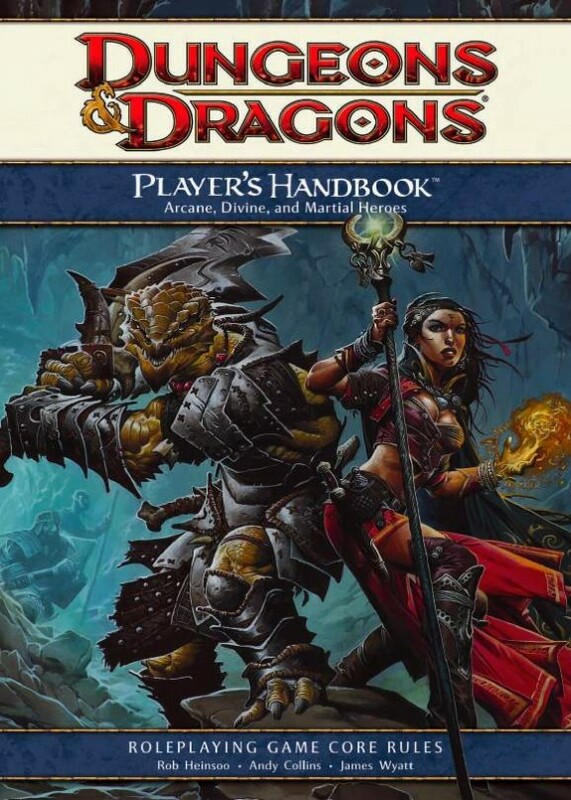 On the other hand, my concerns about “5th edition” after reading the letter from designer Mike Mearls linked above are that with the direction that it sounds like they want to take, I fear that D&D is going to become needlessly complicated again for the sake of trying to recoup losses of older players who left D&D for Pathfinder and the like because they felt that 4e bastardized older versions of the game that they love. Talk has already been circulating around the ‘net of a modular system where DMs and players could pick and choose the rules that they like and leave the rest behind, thus allowing them to create a rule set that more accurately represents what they want to play, but frankly, I’ll believe it when I see it. I got back into D&D in 2009, so I’ve been playing 4e now for about 3 years. Before that, as a kid growing up we played AD&D (2nd edition) and honestly in retrospect, the thing was so damned complicated that I’m not really sure how we ever got anything done at all! In fact, usually we didn’t, instead opting to spend literally hours on end just creating characters and copying over various statistics from tables in the PHB to our character sheets. I don’t miss Magical Defense % and I don’t miss THAC0 with the current version of D&D … believe it or not, it’s actually refreshing to be able to just sit down and play a game that’s not so ridiculously complex because somebody couldn’t get over the fantasy-reality game barrier that the wizards they were fighting against weren’t frail enough when thumped upside the head with an imaginary broadsword! Luckily we’ve still got probably a good 1-2 years before anything is ready for shipping regarding the proposed new version, and I do think that it’s pretty cool that WotC is being so open about playtesting because it gives those who want to participate actively in the development of the product the ability to do so from the very beginning. That’s not really for me, both for time and patience’s sake, but I know people who are interested so I’m sure I’ll still be in the loop on how things are progressing. As for acceptance of whatever the final product of 5e ends up being … well, I’d like to say that I’ll be open to change, but I’ve also seen Essentials so we’re definitely going to have to wait and see if WotC does, in fact, force me into being the curmudgeon that (at least with regards to D&D) I’d prefer not to have to be!